We have three new troughs ! Here is one. If you would like to help the Sanctuary with this appeal please click on the appropriate button below which will enable you to buy a "share" or "part share" in an item of equipment. If you are able to buy a whole share of any one of the items, we will arrange for a plaque to be attached to say who donated it, or another name if it is in memory of someone or a gift for a special friend ! These troughs allow many horses & cows to eat at once & save Fiona having to make up many buckets of feed - which of course have to be collected in after they have finished. Each trough was £200 ! 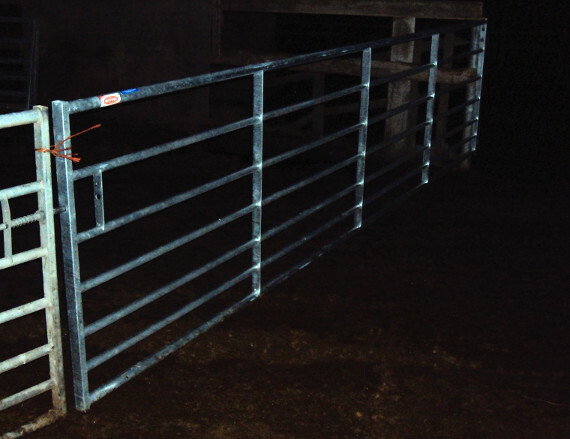 We also got 2 x 15 foot gates. These were necessary to secure the horses into the main turnout area as the gates we had were standard 12 foot ones & needed to close off a gap which was 27 feet - so the two 12 foot gates were just short, requiring a third gate to be tied across the gap. The gates are heavy to manage & time consuming - the new gates make life a lot easier for Fiona. 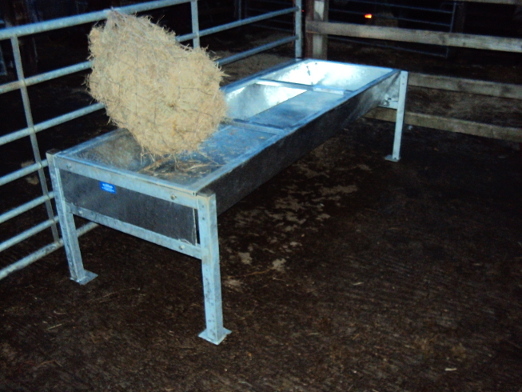 - they were however £140 each - but are heavy duty & fit for livestock. It was dark by the time I got round to taking any pictures ! As explained (in some detail !) 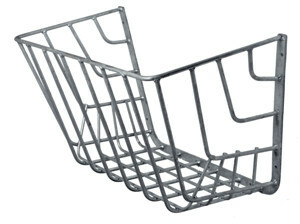 in the video - these are the hay racks that will arrive on Wednesday - a dozen of them in fact ! These will save Fiona around 15 minutes a day, which doesn't sound like a lot for the cost, but when you have as much on as Fiona has, this is significant ! Thank you for your help - any amount you send is very much appreciated.